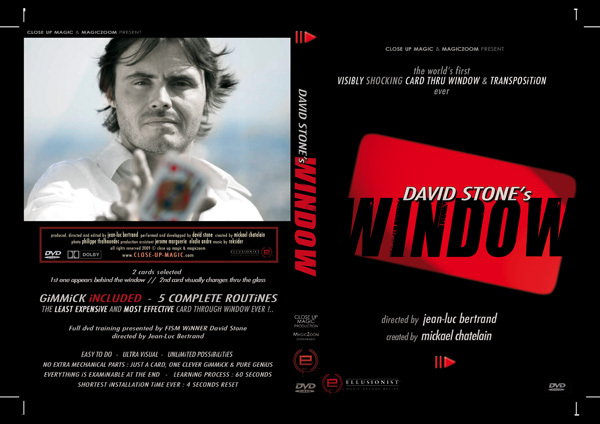 The world’s first VISIBLY CARD THRU WINDOW & TRANSPOSITION ever. 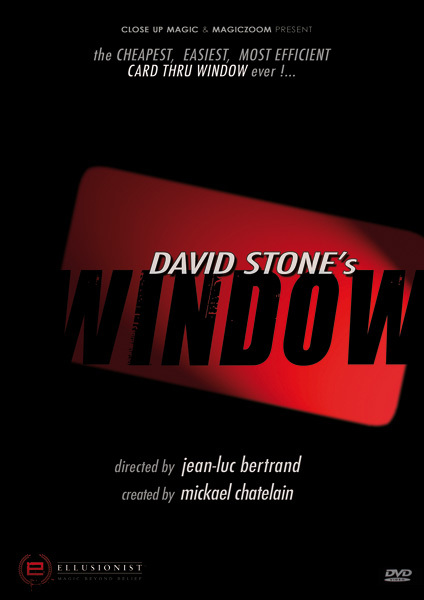 Created by Michael Chatelain, the first card appears behind the window, second card visually changes thru the glass. This is also the least expensive and most effective card through window! 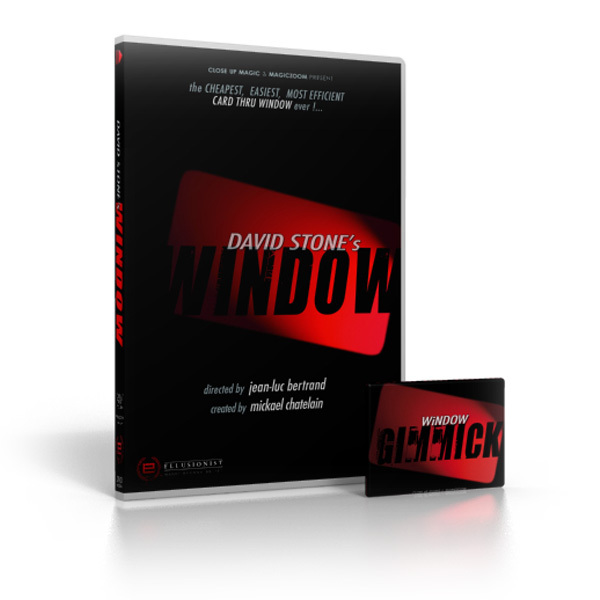 DVD training presented by FISM WINNER David Stone and directed by Jean-Luc Bertrand. Everything is examinable at the end.